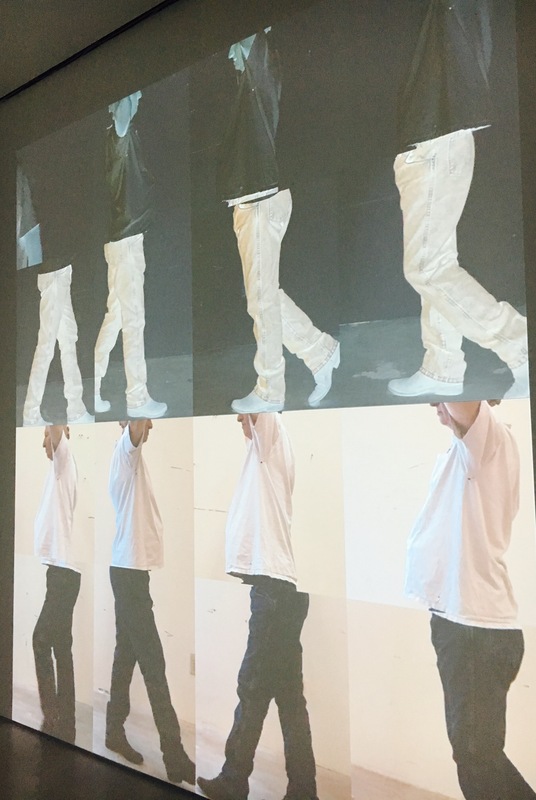 By walking on Bowery street on my way to New Museum my eyes got attracted by a name of the artist that I was already familiar with: Bruce Nauman. I saw his exhibition in Cartier Foundation in Paris last year and also I noticed some works of his art in Dia Art Foundation in Beacon. 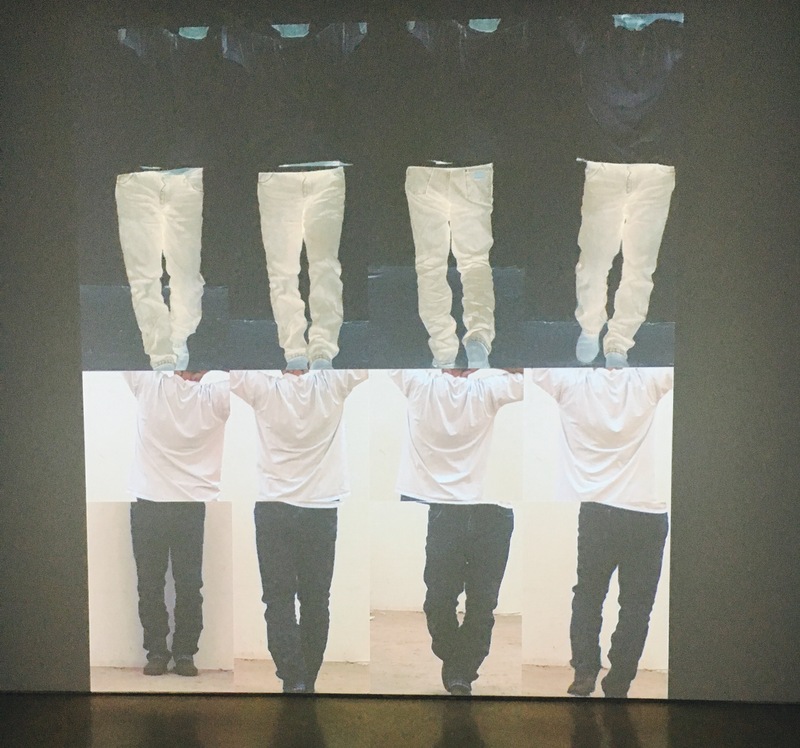 I like the most when you discover by yourself by walking in a gallery when there are excellent video installations. 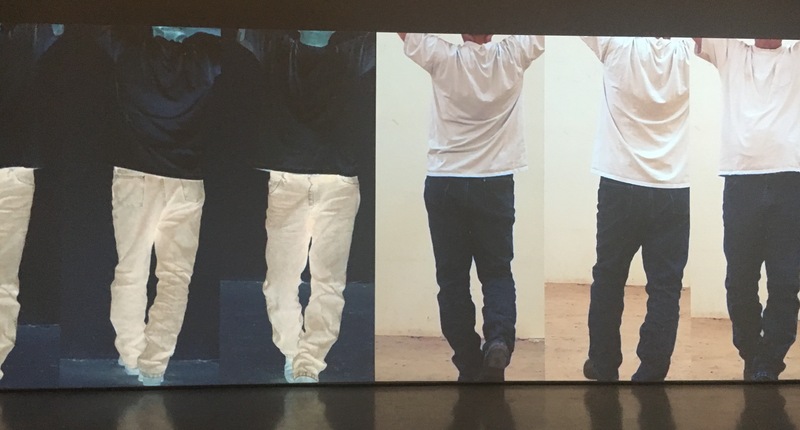 Bruce Nauman manipulates visual symbols and our subconscious. 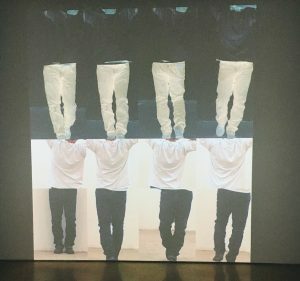 There are 7 large videos projected on the walls accompanied with strong, but simple sounds of a walking man. Basically, it is an auto portrait, he filmed himself walking in his studio. But the way how these videos are assembled makes the difference. 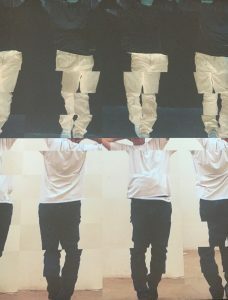 His image is multiplied, reversed, reflected, twisted and cut. Then like a kaleidoscope image assembled again. The sound of a walking man clockwise tic-toc-tic-toc reminds us of a time which passes by. We could not see the head and the face of the artist which makes us think of an anonymous , that it could be anybody. Repetition of anonymous images points out to all human beings aka to all of us. I appreciate the most the simplicity of these installations. I think they tend to remind us about ourselves and our bodies. That we should not become twisted, cut and reversed with time. Body is our biggest asset and it is our mission to take a good care of it, so with time it stays it it’s initial shape as long as it can.